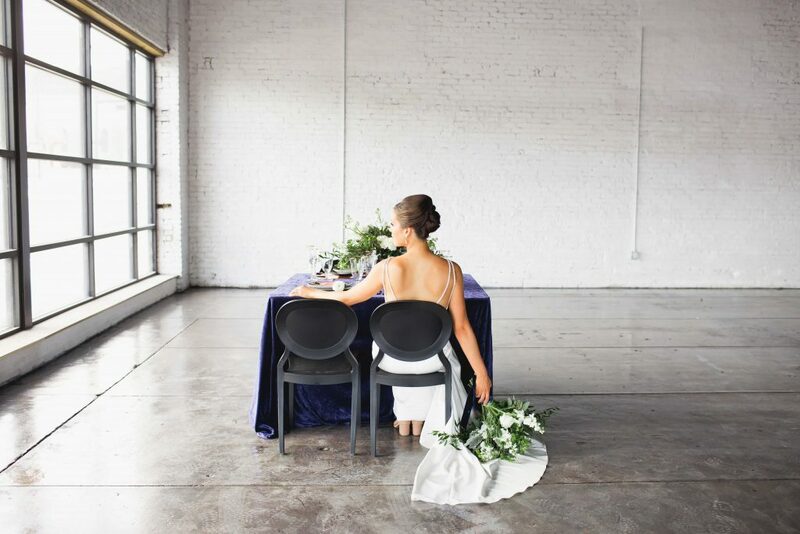 Our neighbors and friends from Art/ifact, an art studio attached to our building inspired this Abstract Modern Art styled shoot. 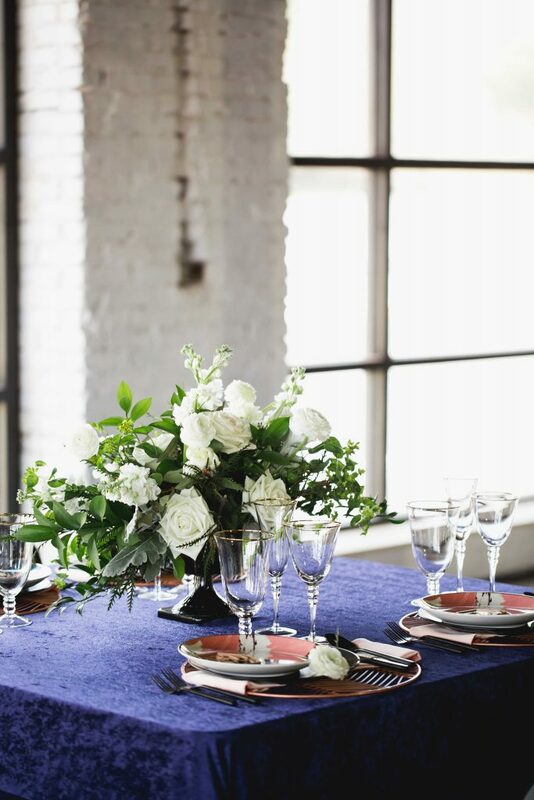 Haus 820 offers endless possibilities to design the space unique to your vision. 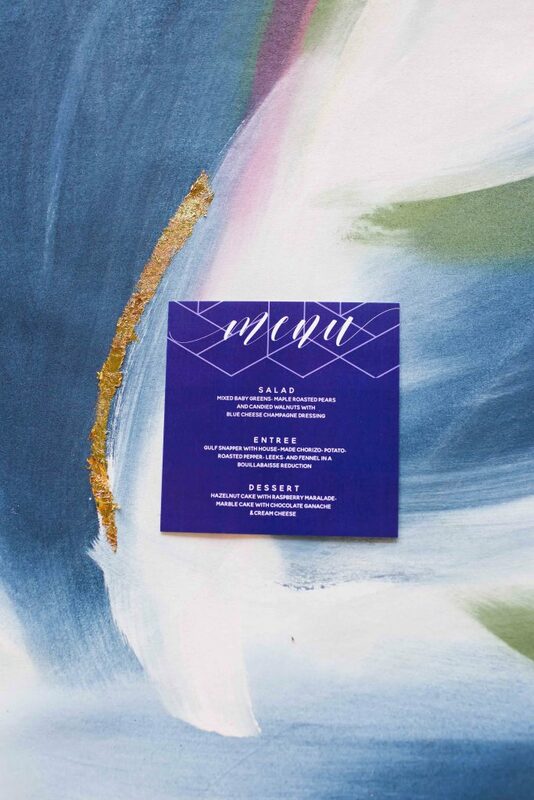 Emily Grace Design‘s concept brought bold patterns, bright colors compliment the modern feel to our space. 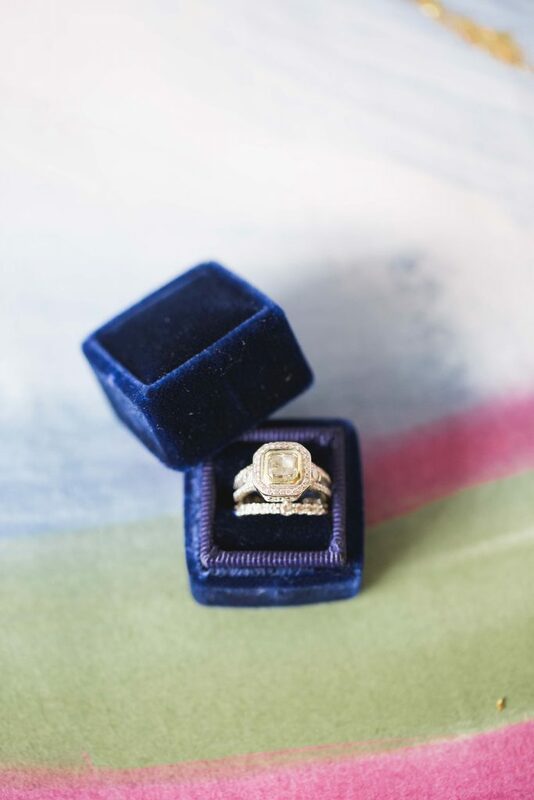 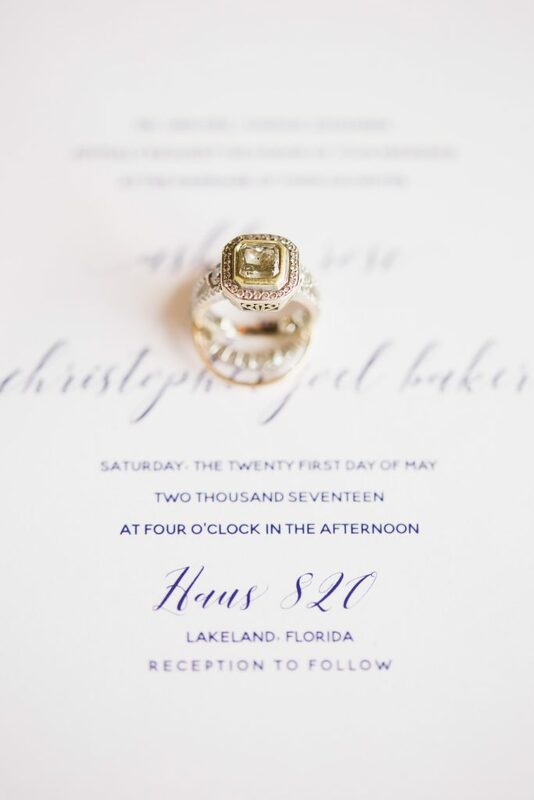 Photographer Laura Foote captured design details and color perfectly. 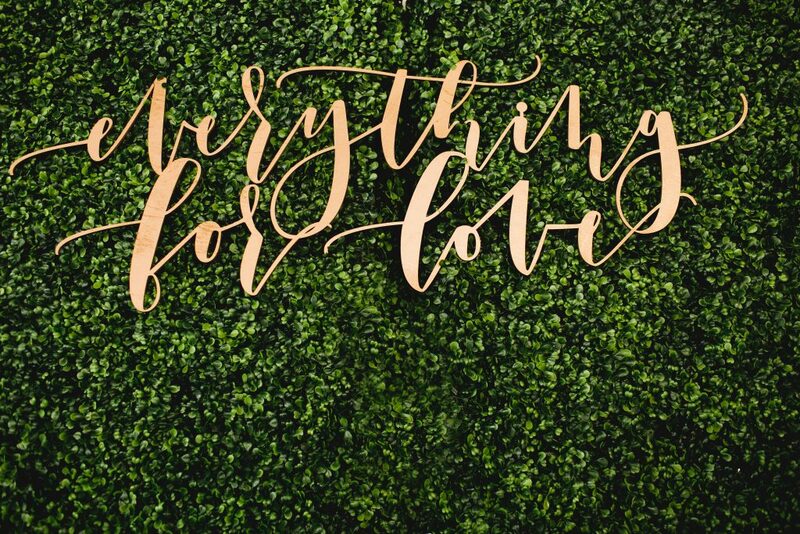 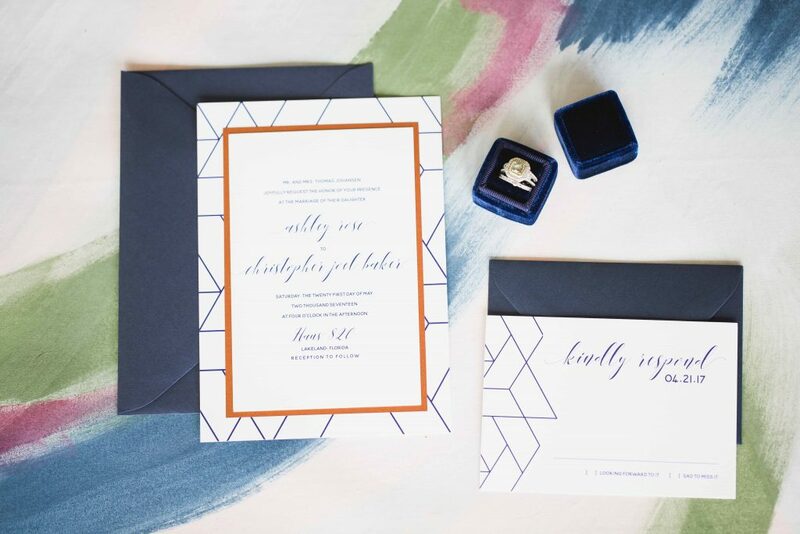 An invitation suite is often the best introduction to your event, A&P Designs set the tone perfectly with a clean modern design and abstract details. 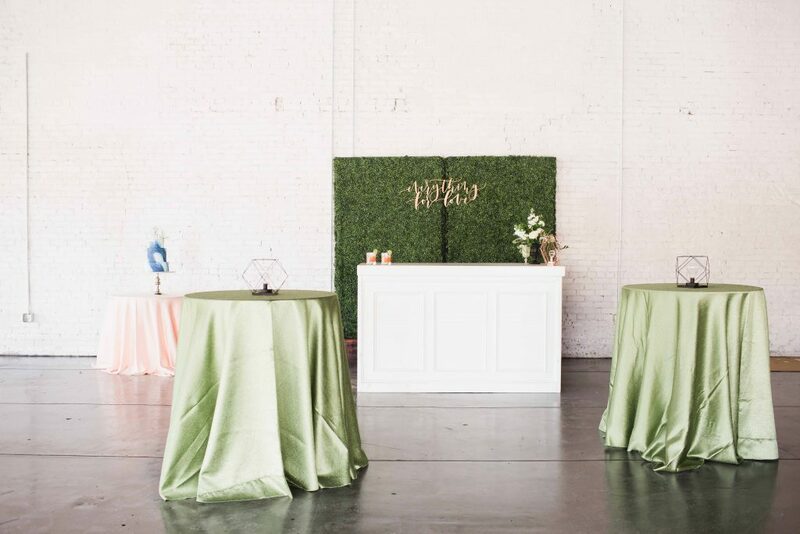 Taylormade Floral and Events used a monochromatic color palette with greenery accents for the floral design, which complimented the textures and colors on the table and the ceremony backdrop. 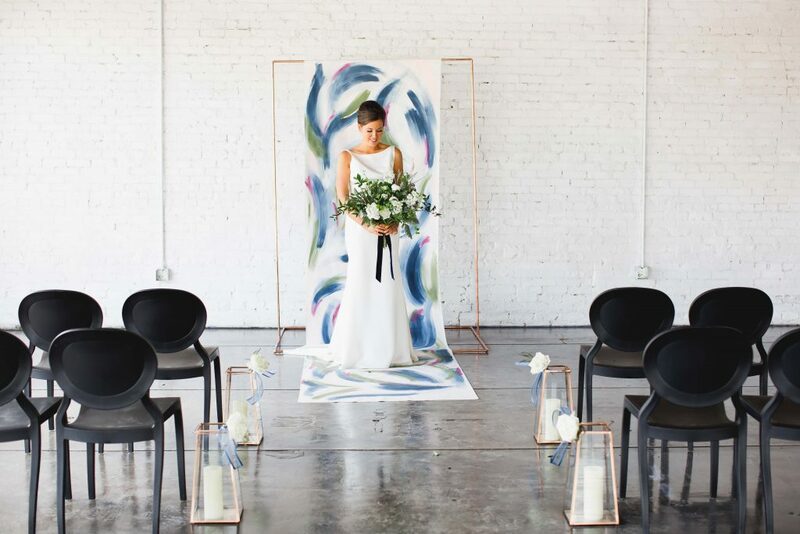 The ceremony set-up consisted of a hand-painted aisle runner with an abstract design and clean look. 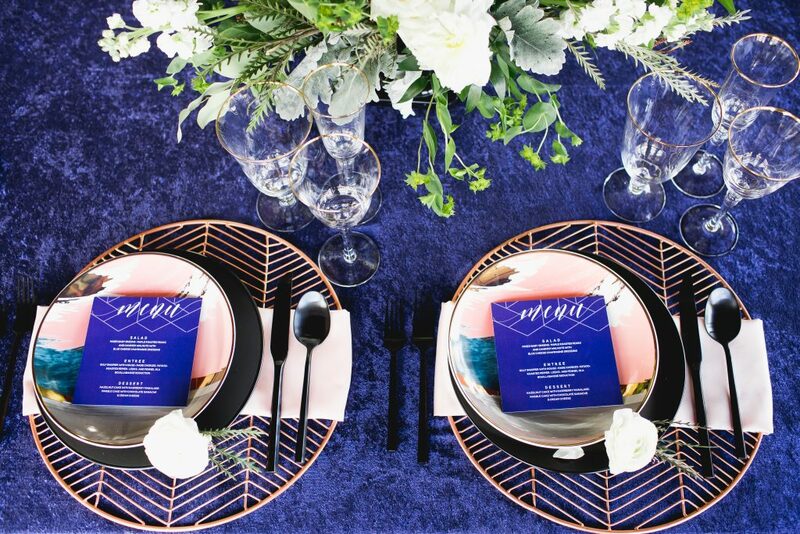 Both the ceremony and reception details compliment each other perfectly with hues of blue, dashes of gold and fun abstract patterns bringing the modern art feel to life. 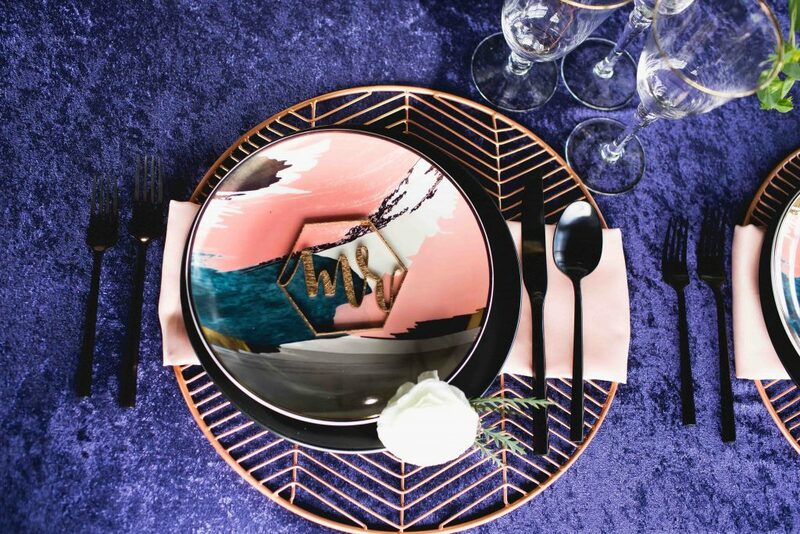 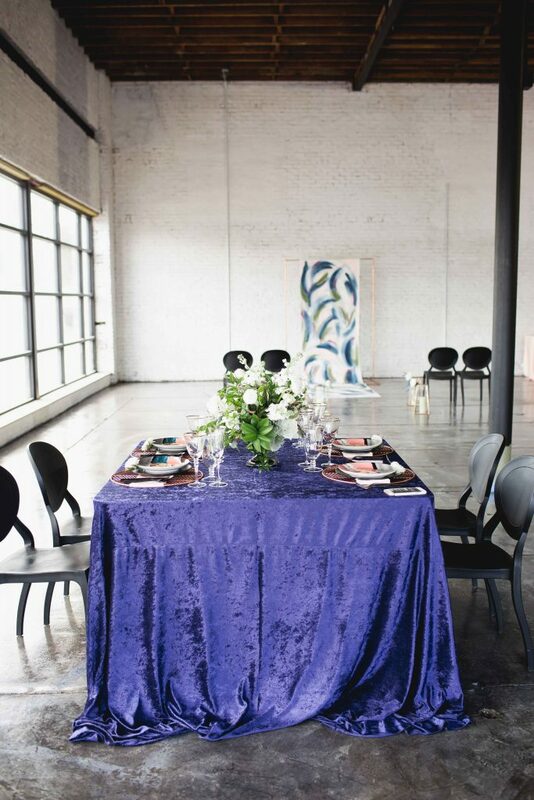 The velvet linens and black chairs from Kate Ryan Linens inspired the tabletop design featuring unique pieces from Treasury Rentals. 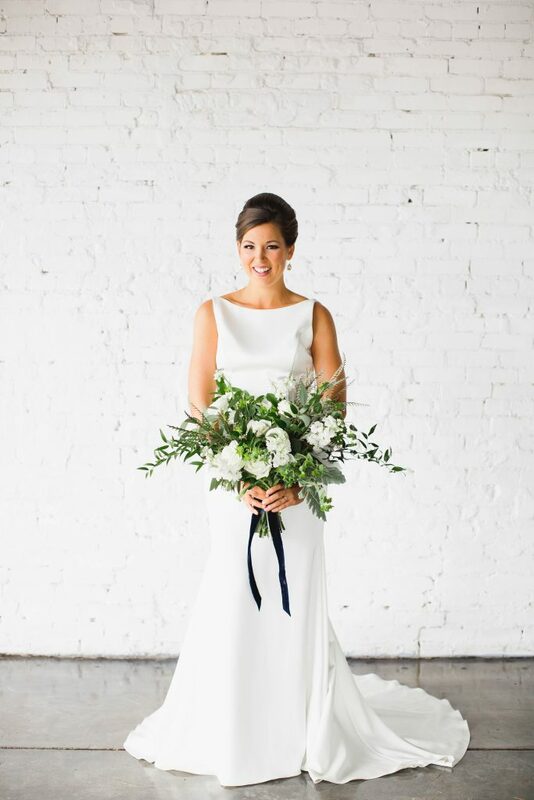 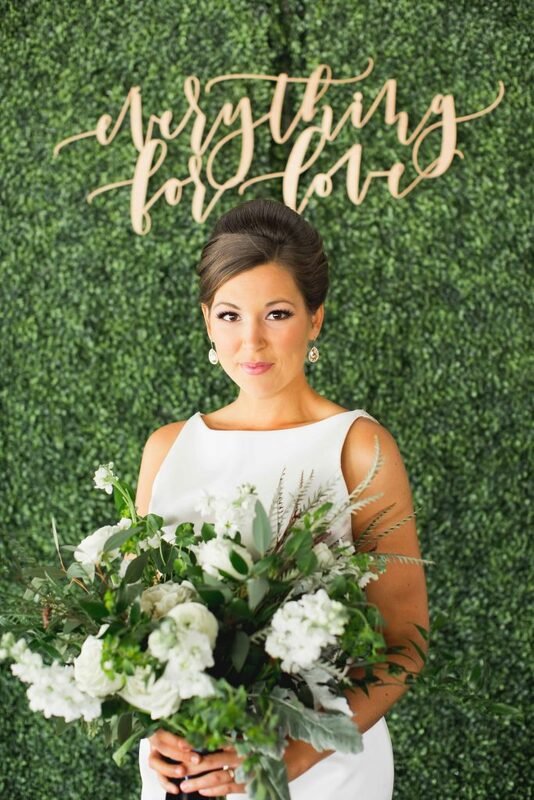 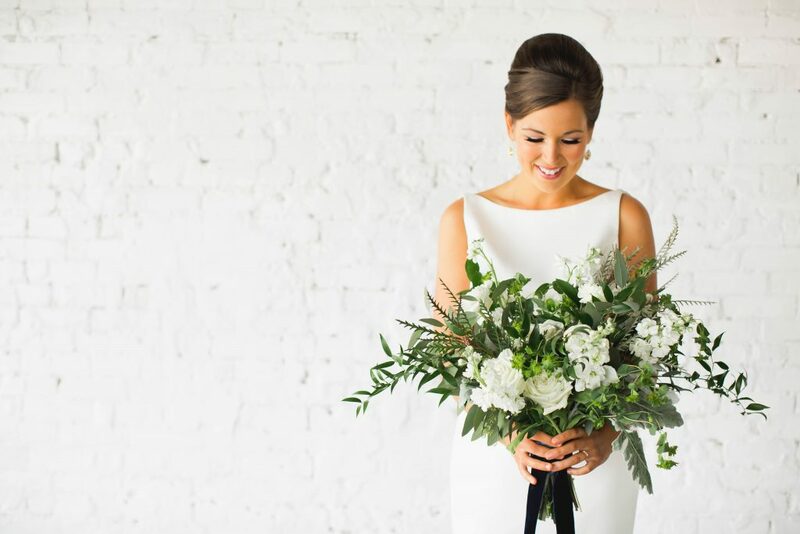 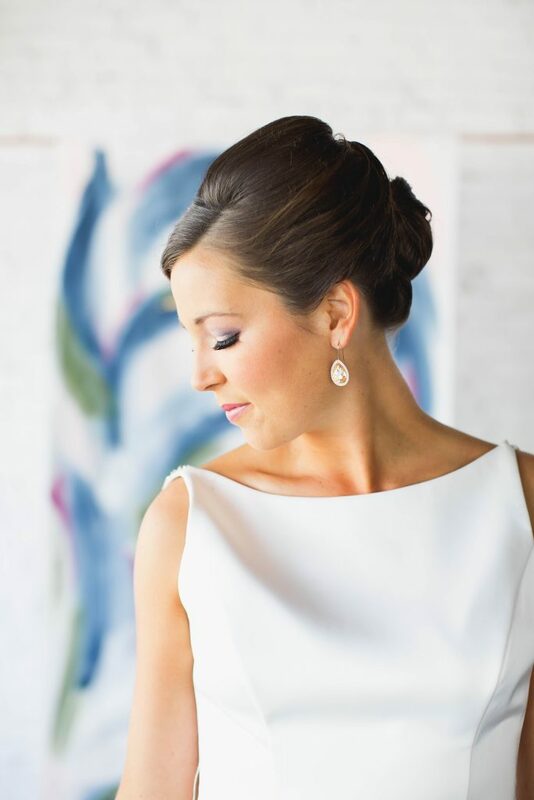 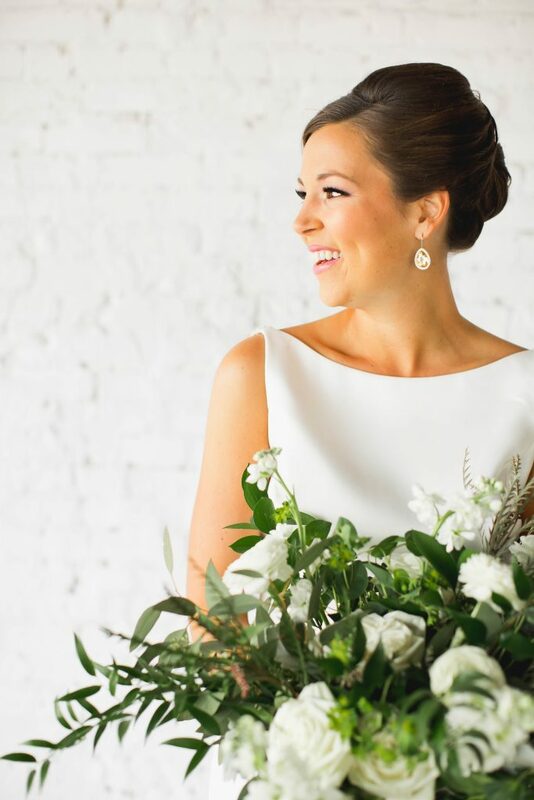 The bride wore a beaded and impressive simple fitted gown from The White Magnolia combining both modern and timeless styles, and her sleek up-do and fresh makeup by Lasting Luxe was perfect to complete her look! 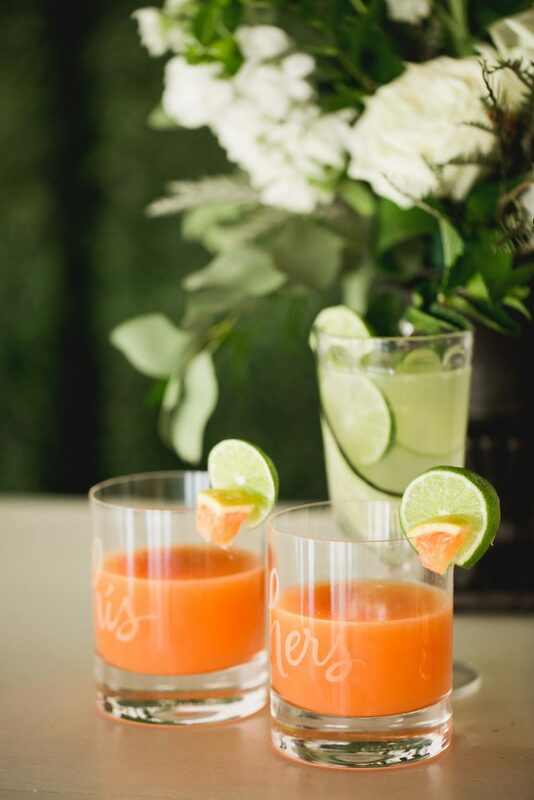 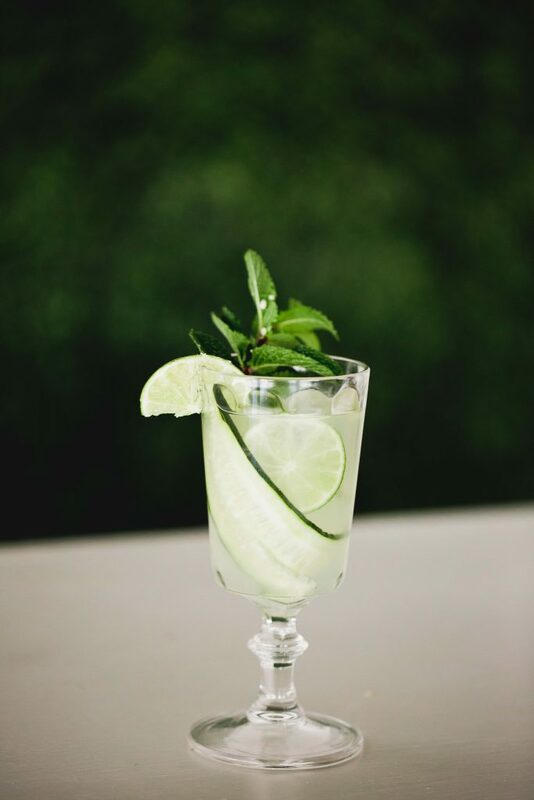 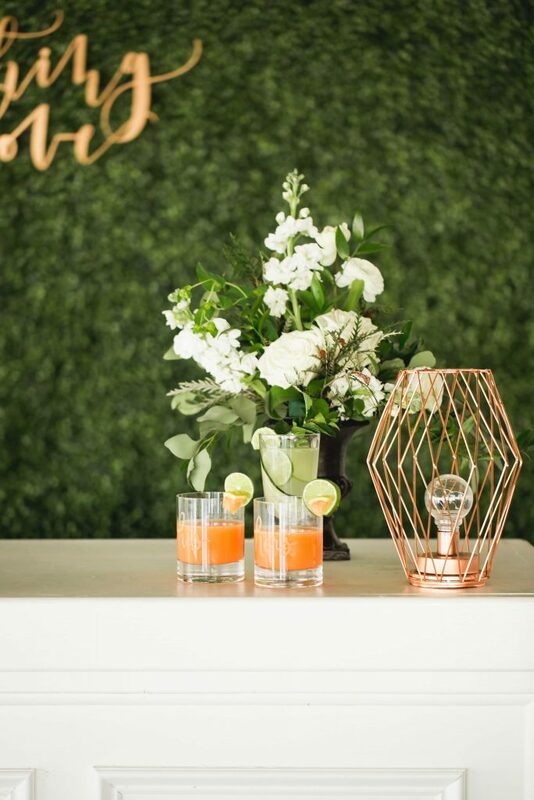 A Chair Affair provided the perfect rentals to compliment the details and bring the vision to life, such as the specialty cocktail bar and set up with recipes provided by The Bald Guy Bartender. 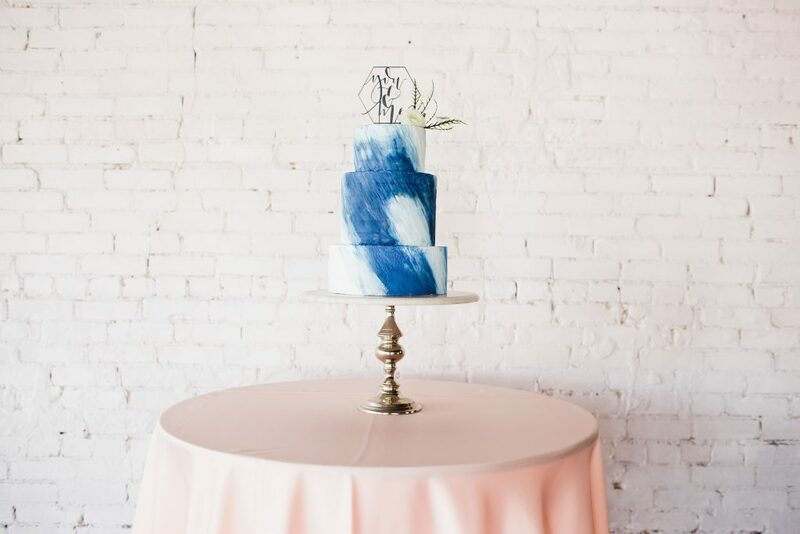 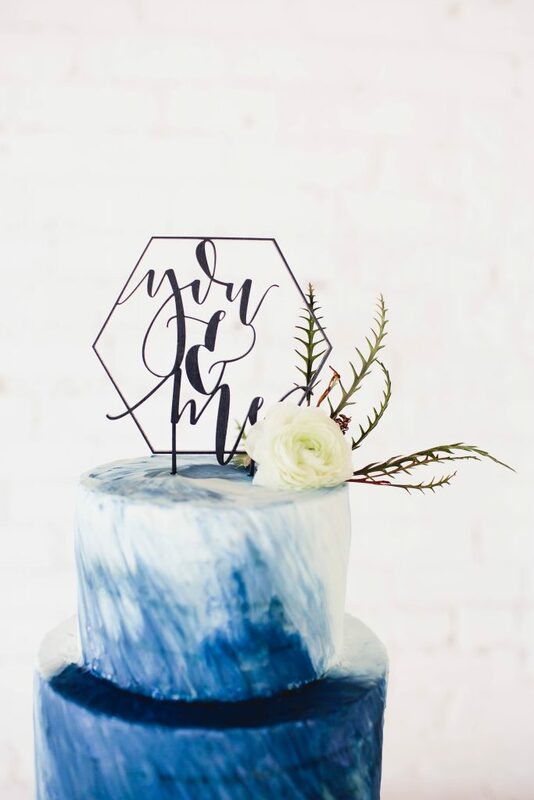 The abstract painted pattern was included in the cake design created by J’aime Cakes, and the custom calligraphy topper by Do Tell Calligraphy and Designs.